Austen Powers: International Man of Pemberley. 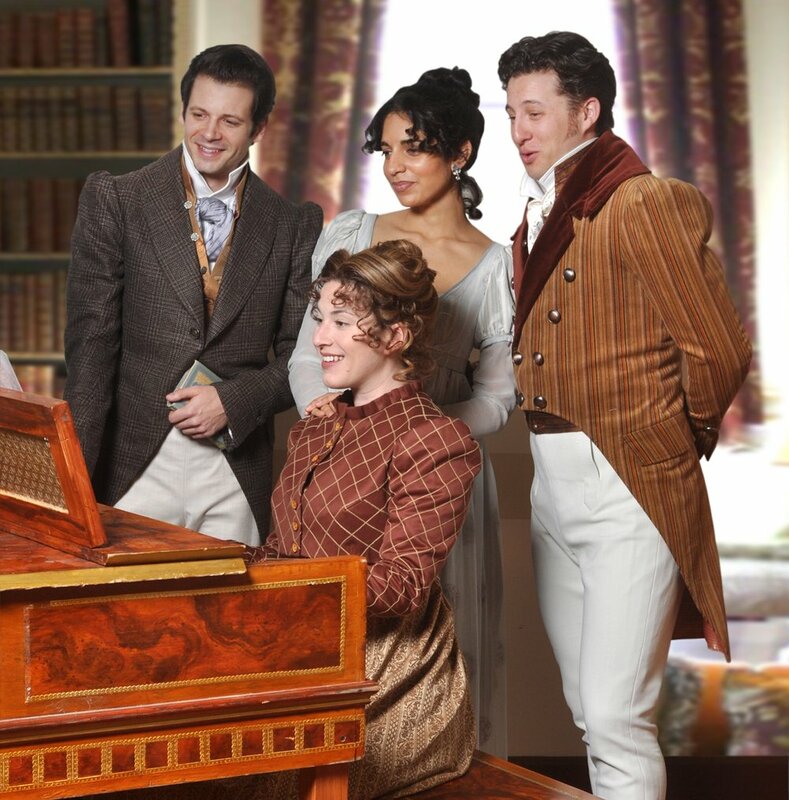 This holiday season, Miles is throwing on some high collars and falling clumsily into the iconic world of Jane Austen in Miss Bennet: Christmas at Pemberley at The Repertory Theatre of St. Louis. The romantic farce by Lauren Gunderson and Margot Melcon is essentially elevated fan-fiction — serving as a sequel to Pride and Prejudice. It centers around Mary Bennet, the unmarried middle sister (oof), as she visits her sister Elizabeth and Mr. Darcy for the holidays. On her quest to avoid the boredom of socializing, she bumps into a surprise visitor — Lord Arthur De Bourgh. The nephew of the late Lady Catherine, Arthur has just inherited her estate and is suddenly thrust into high society. He and Mary enter into a delightfully bizarre courtship, and it should surprise no one that this anxiety-ridden, socially awkward bookworm is who Miles is playing. Direction is by Austen-mega-fan Jenn Thompson, who directed Miles in Tribes at BSC. Previews begin 11/29. Opening is 12/1. Closing is 12/24. Show times and ticket prices can be found here. The Repertory Theatre of St. Louis (130 Edgar Rd., St. Louis, MO).